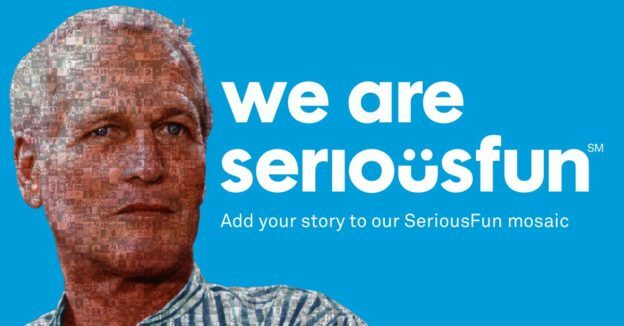 In honor of what would’ve been SeriousFun founder Paul Newman’s 94th birthday on Saturday, January 26, we’re inviting camper alumni, family members, volunteers, donors and our extended camp family to share a story about the power of camp. 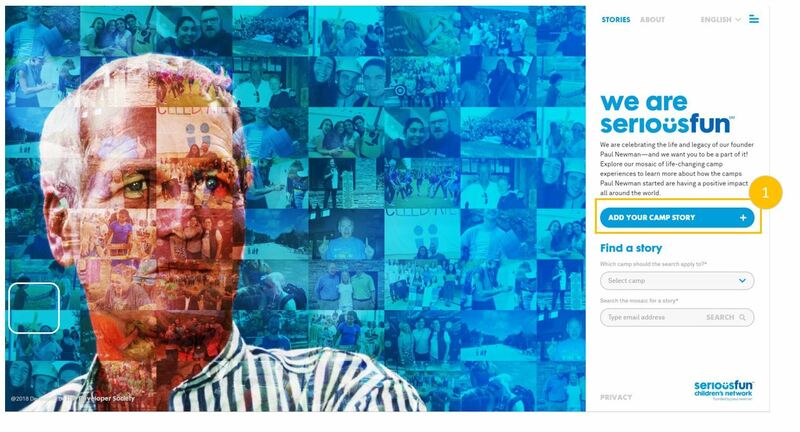 It takes only minutes and you’ll join others around the world celebrating Paul’s legacy and raising awareness for the life-changing impact of camp. Below, we detail the steps for submitting your story. We will use the email address you provide to contact you once your story has been reviewed and submitted to the Mosaic, so please enter an active email address. Landscape images work best. Portraits will display the center of the image. You will be able to preview your photo — and change it, if you like — before you submit. Enter your story in the space provided (note: posts are limited to 500 characters–roughly a short paragraph). 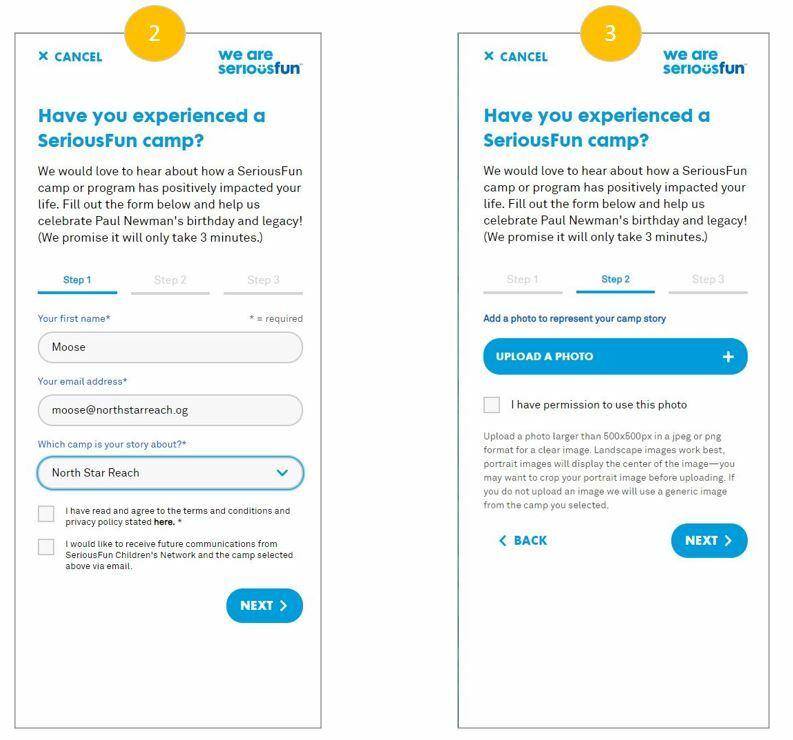 Then select a SeriousFun theme by clicking on the dropbox and selecting from the list of choices. Be sure to select the “I am 18 years or age or older” checkbox. 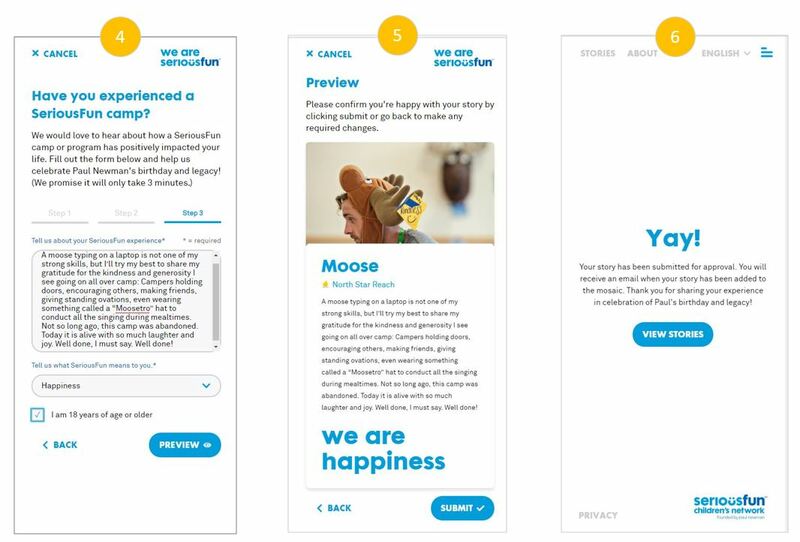 For campers younger than 18 who wish to share stories, please ask your parents to submit on your behalf. Select Preview to review your post. If you don’t like the way your photo displays, return to the Upload a Photo screen and select a new image. You can also make changes to your copy by selecting the Back button. 6. Congratulations! You’ve Added Your Story! Before your story is published to the Mosaic, our team will review for approval. You will recieve an email once it’s live. 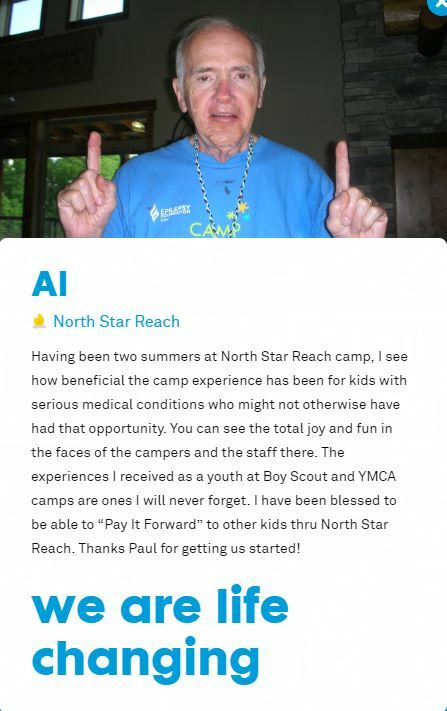 Thank you for sharing your experience in celebration of Paul’s legacy and helping to raise awareness for the life-changing impact of camp at North Star Reach–and SeriousFun camps around the world. 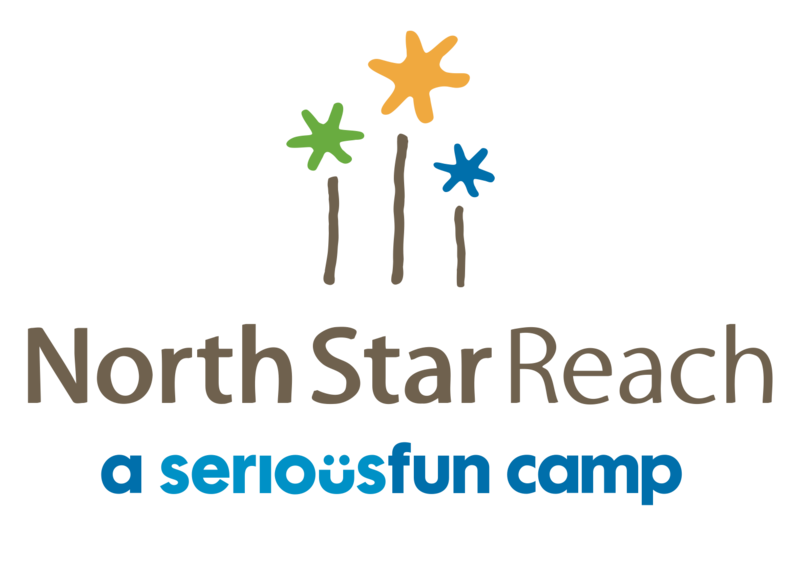 The Search functionality to find North Star Reach stories is still under construction. For the meantime, you can hover over the thumbnail images on the Mosaic to visually locate stories by people you know. 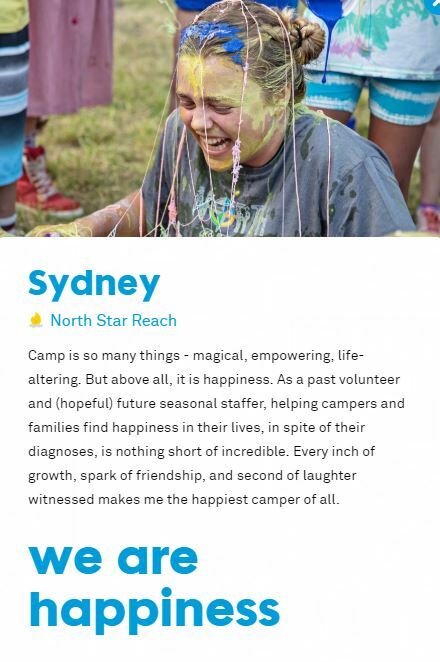 Below we feature a couple early North Star Reach contributor posts, by Sydney and Al, both of whom have been fabulous program volunteers.